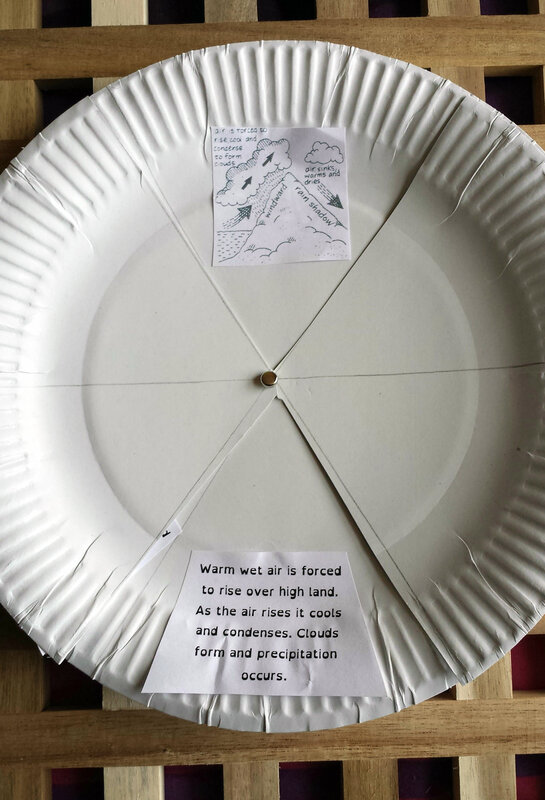 After using this this resource The Rainfall Spinner , I’ve decided I need to find other uses for the ‘insert topic’ spinner. 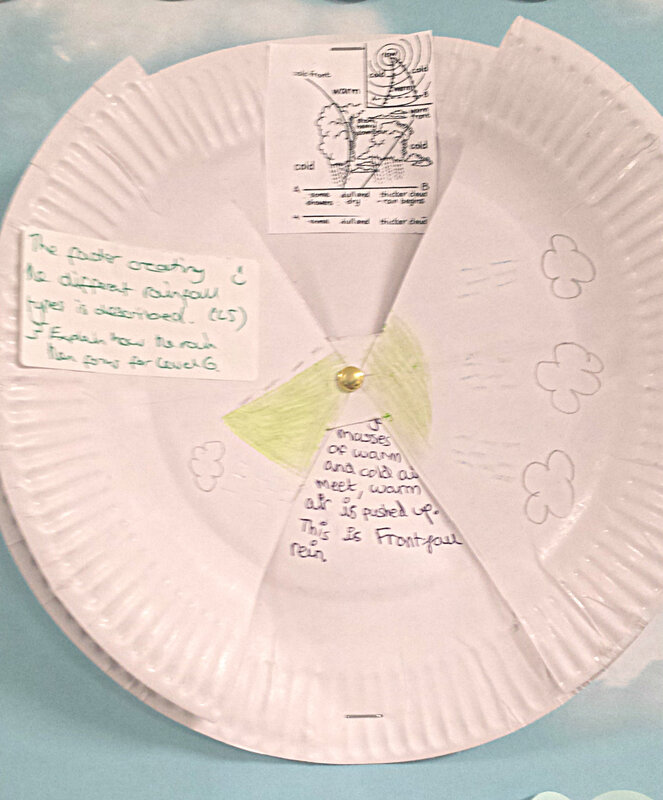 I used the rainfall spinner as part of an observed lesson; it went down well, meeting the desired ‘active learning’ requirements deemed essential in our school. Very positive feedback 🙂 from both the observer and the kids. Here are just 2 examples of the fantastic work produced by year 8 that went on display in the classroom (sorry for the poor photography, it’s not a strong point of mine). 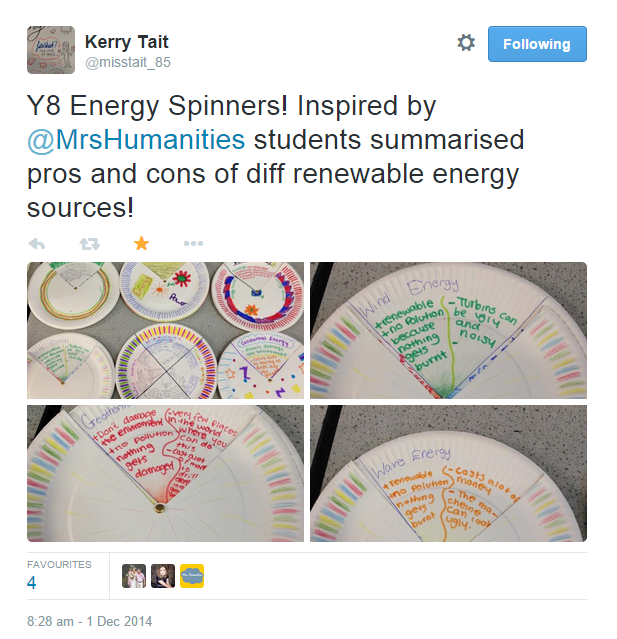 Recently I was really pleased to find that my spinner idea had inspired others, Check out these fantastic Energy Spinners from @misstait_85. Brilliant idea. 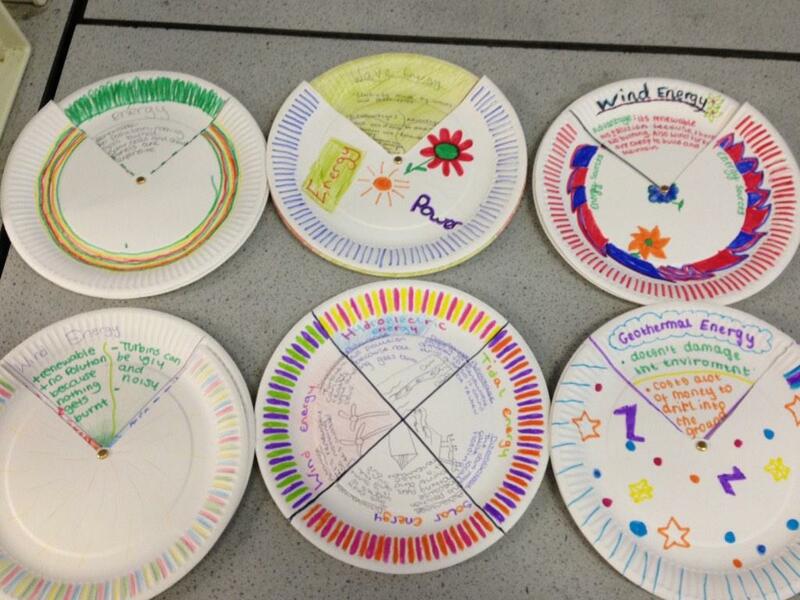 I can definitely see the potential for using spinners in other topics within Humanities and across the other subjects. Now I’m plotting where to use them next…. perhaps year 7 for comparing natural hazards next term. 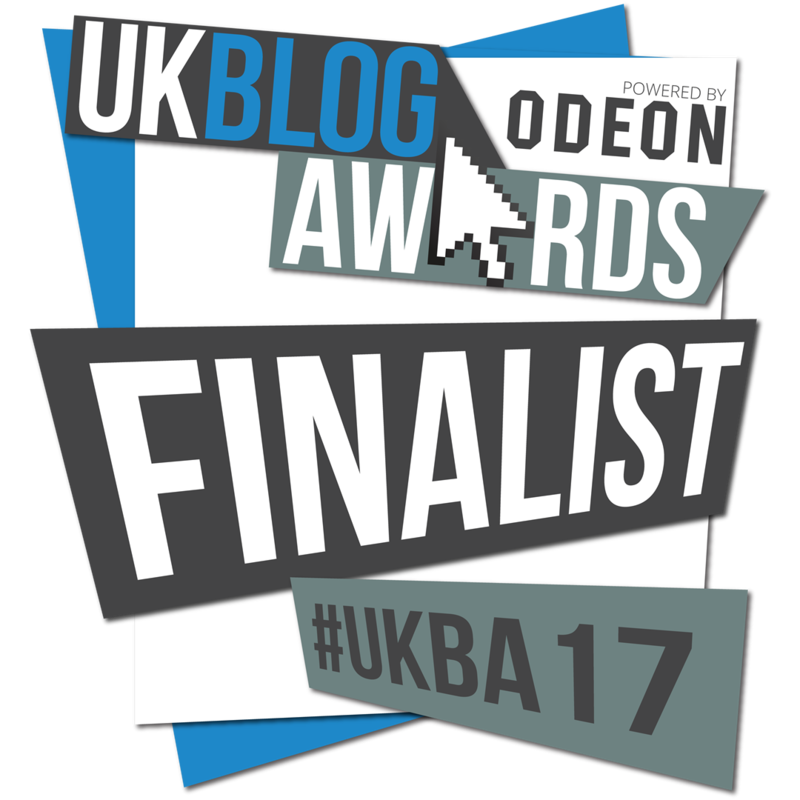 Categories: Resources, T&L | Tags: Creative Learning, Geography, rainfall, Resources, Weather | Permalink. 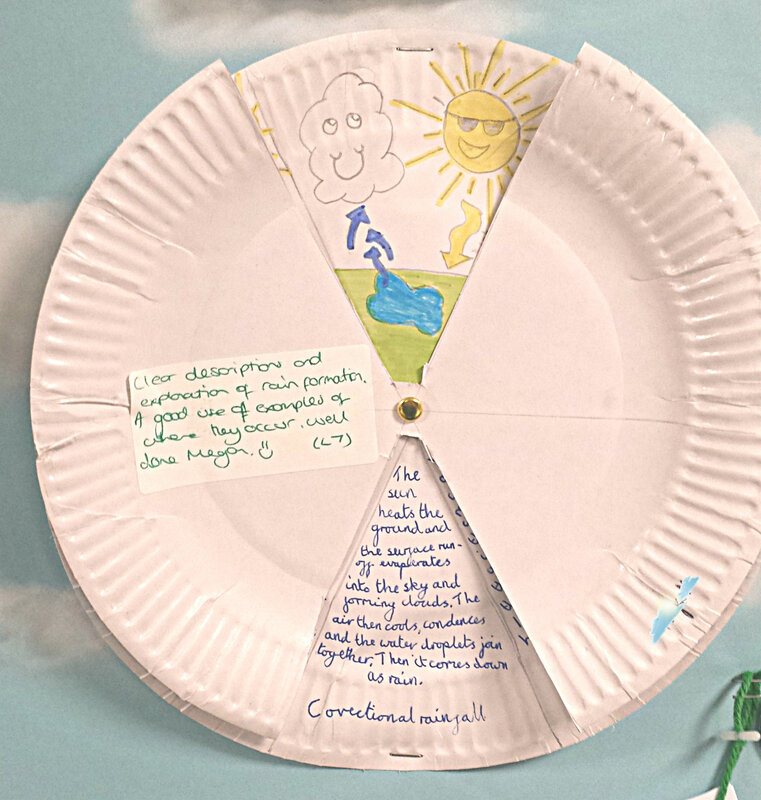 This term year 8 studied Weather and Climate. My expectations of a number of my students were exceeded in the study of this topic, they loved it. It was a pleasure to be able to give out these topical rewards to the unexpecting achievers. There were 6 in total and I had planned to give out two clouds to each year 8 class but progress was so good in Set 2 and Set 3 that I decided to give 3 to each of these classes, they truly deserved them. They were really easy to make, here’s how. Start by creating the packaging, I used canva.com to create the packaging labels. I then inserted the images into word and laid them out so they could be folded after printing. Print the labels, cut them out and fold carefully. 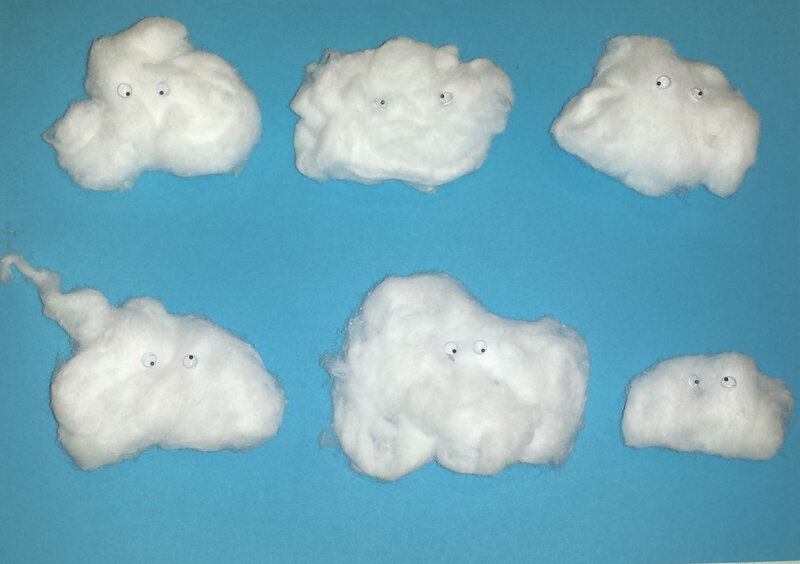 Next shape your cotton wool balls to look like clouds, I tried to make each one individual. Using the super glue attach the googly eyes to give the cloud some character. Allow the glue to dry. 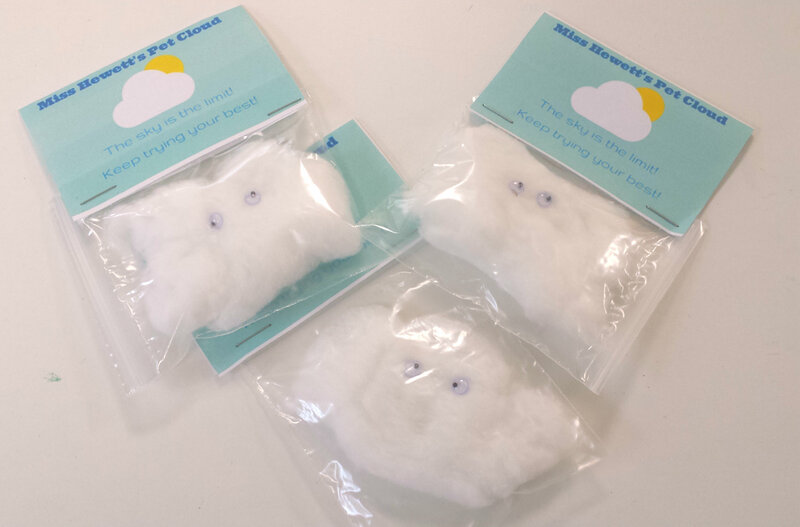 Once the clouds are ready, pop them into your plastic packaging bags, fold the label over the top of the bag and staple in place. And you’re done! Now you just need to hand them out to deserving pupils. Do you ever give out topical rewards? 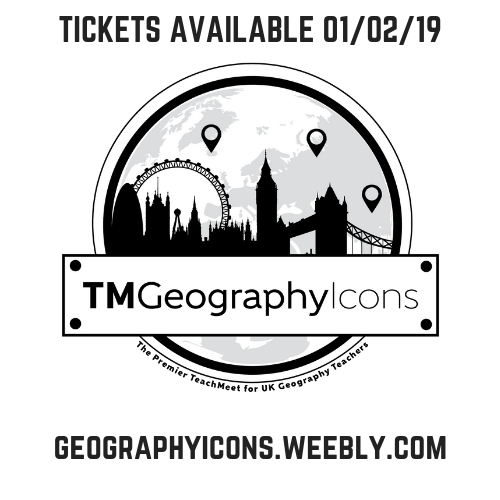 I’m trying to think of some for next term, year 7 are studying Natural Hazards in our Dangerous World topic and year 8 are studying Exploration and Adventure… oooo what about mini survival kits? hrm? 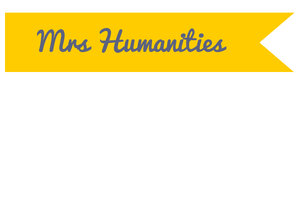 Categories: Praise and Reward | Tags: Classroom, Geography, Reward, Weather | Permalink.